I have been a square dance caller for the past 20 years. My wife and I do some calling together and I call mainstream and plus as well as level 2 rounds. 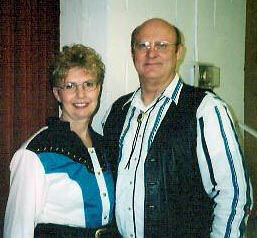 We belong to the Belles & Beaus Square Dance Club in Omaha. I am past President of the Nebraska State Callers and Cuers Association and am the President of the Omaha Callers & Cuers Association. Our best friends are from the square dance activity. Its the best. As the slogan goes, "LIVE LIVELY, SQUARE DANCE"